In the second edition of the Puerto Vallarta Marathon, 1,481 runners from ten countries participated, of which 684 took part in the 5k recreational run, 499 ran the 21k race, and 298 runners contended in the 42k competition. Puerto Vallarta, Mexico - Runners from Germany, England, Canada, Italy, the U.S., Costa Rica, Panama, Paraguay, Colombia and, of course, from Jalisco, Nayarit and many other states in the Mexican Republic, participated in the second edition of the Puerto Vallarta Marathon, held Sunday, April 7. 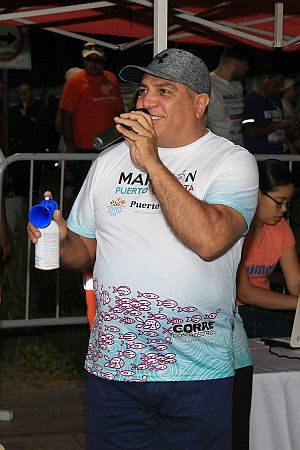 Before sounding the starting shot, the municipal president, Arturo Dávalos Peña, acknowledged the contribution the Marathon makes to Puerto Vallarta, saying that it not only promotes tourism but also encourages healthy activities for local families. Mayor Dávalos also highlighted the participation of athletes from all around Mexico and other countries, saying, "this is marathon for everyone, we see visitors, locals, athletes and even people with disabilities, who come out with joy to participate in peaceful coexistence." In this second edition of the Puerto Vallarta Marathon, 1,481 runners participated, of which 684 took part in the 5 kilometer recreational run, 499 ran the 21 kilometer race, and 298 runners competed in the 42 kilometer competition. The preliminary results are in, and the overall winners of the 42k marathon were Sammy Cheruiyot Mutai, Alfonso Cárdenas Lozano, and Abraham Christian Noguez Eguizabal; while in the women's category, the undisputed winner was Vallarta native, Ema Leticia Joya Estrada. In the 42K Free Race competition, the winners were José Guadalupe de Jesús Puga, Noé Abraham Reyes Rosas and Omar Alejandro Castillo Gómez. In the 21k, the first place winners were Juan Carlos Romero Bernal and Silvia López López; while in the 5k, Erasmo Vázquez and Miriam Mendoza were the first place winners. 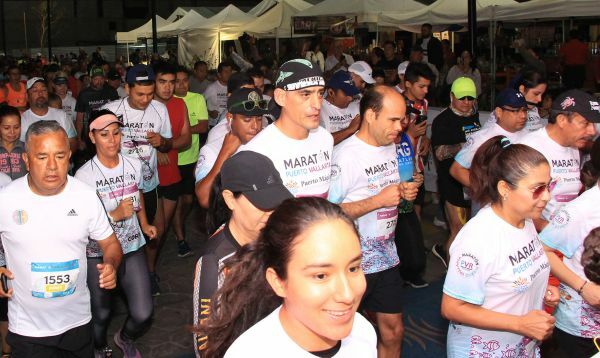 A total of $150,000 pesos was distributed between winners in the men's and women's categories of the Marathon and Half Marathon, as well as raffle prizes and gifts from the sponsors. Humberto Muñoz pointed out that with the Puerto Vallarta Marathon is a great way to promote the destination. "In the Puerto Vallarta Marathon there is a party atmosphere, with the participation of runners from ten countries, it is a party where people come to enjoy the beauties of Puerto Vallarta. We seek to be an icon, a reference in the sports field in Mexico," the official said. In turn, Mayor Dávalos announced that there are more exciting events in the works that will help promote the city, such as the CONCACAF Beach Soccer Tournament, the Puerto Vallarta Open ATP Challenger Tour tournament, a beach volleyball tournament and the Fiestas de Mayo, that, when combined with the excellent weather, attract more visitors to our fair city. "That is why we facilitate events like this, because I am convinced that tourism goes hand in hand with sports, with art and culture. We must continue promoting these types of events so that Puerto Vallarta is more consolidated every day, that more tourists come, and that visitors know that we offer more than just sun and sand," he said.